National Breast Cancer Awareness Month (NBCAM) organization is comprised of several national public service organizations, professional medical associations, and government agencies working in partnership to build breast cancer awareness, share information and provide access to screening services. NBCAM is a year-round resource for patients, survivors, caregivers and the general public. Since its beginning more than 20 years ago, NBCAM has been dedicated to increasing awareness of breast cancer issues, especially the importance of early detection. NBCAM has evolved along with the national dialogue on breast cancer. Many strides have been made in breast cancer awareness and treatment, but even more still needs to be accomplished. We are focused on encouraging women to take charge of their own breast health, by practicing regular self-breast exams, making sure to schedule an annual mammogram, adhering to prescribed treatment and knowing the facts about recurrence. October is National Breast Cancer Awareness Month, and we encourage you to visit the NBCAM site in October and regularly throughout the year so you can see their updates and additional information and resources. 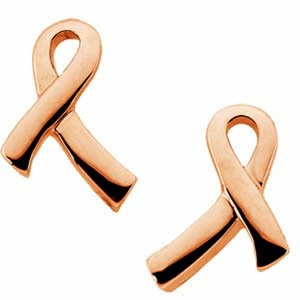 Jewelrydays.com also offers accessories which can help us promote National Breast Cancer Awareness Month. Visit our site and see many options such as pendants, earrings, and brooches. Feel good inside and out. Let us support the program.